It has been a Fed Ex Cup to forget for Jordan Spieth. The young Texan has played his worst golf of the season during the first two legs of the playoffs, missing the cut at consecutive tournaments for the first time in his young professional career. In the interim, the 22-year-old has lost his lead in the Fed Ex Cup standings to Jason Day and lost his very short-lived status as World No. 1 to Rory McIlroy. Inexplicably, despite another missed cut, he regained the No. 1 status this week, proving once and for all that the rankings algorithm makes no sense! When he missed the cut at the Barclays, Spieth became the first player in history to miss the cut for the weekend while debuting as a World No. 1. At the time, it was reasonable to attribute his poor performance to a mere anomaly — nothing more than a bad week. However, after missing the cut once again this past weekend at the Deutsche Bank Championship and failing to post less than a 73 in any of his last four rounds, it is clear that something is off with Spieth’s game. Simply put, he is not playing with the same confidence and resilience that fuelled his two consecutive major victories and 14 Top 10s this year alone. In all likeliness, the former US Amateur Champion is probably exhausted at this point. Spieth has played in 24 events this season for a total of 84 rounds, missing the cut only four times in the process, and he still has two tournaments to go (not including the President’s Cup in October). That is too much golf for one of the best players in the world! In his heyday, Tiger Woods never played anywhere near that number of events. The 14-time major winner only eclipsed 20 three times in his career, never once going above 21. Spieth has earned more than $10 million this season, nearly $3 million more than any other player on the circuit and has been a lock atop the Fed Ex Cup rankings all season long. With the spotlight suddenly turned on the young man, Spieth’s life off the golf course became quite hectic. The Texan was doing media circuits, making guests appearances on late night talk shows; even throwing out the ceremonial first pitch at baseball games. With the success that Spieth enjoyed early this season, it would have been wise for the young phenom to have dropped out of at least a few tournaments, most notably the John Deere Classic, in order to conserve some energy for the playoffs. Spieth reminds me of a young stud pitcher in baseball who wants to play beyond an imposed innings limit. However, similar to golf rounds, innings add up over the course of a marathon season. Spieth’s limited experience in handling the rigours of a gruelling PGA Tour campaign appears to have affected his performance down the stretch. By overextending himself during the season, Spieth looks like he has lost some of that edge to his game. The 2013 PGA Tour Rookie of the Year will likely learn from these two missed cuts and could reduce the number of events in which he plays for future seasons. Moreover, he has not thrown in the towel for the Fed Ex Cup just yet. Although Day has overtaken him for first place, Spieth trails the surging Aussie by less than 300 points. A strong week from the Masters and US Open Champion and he will be right back on track. 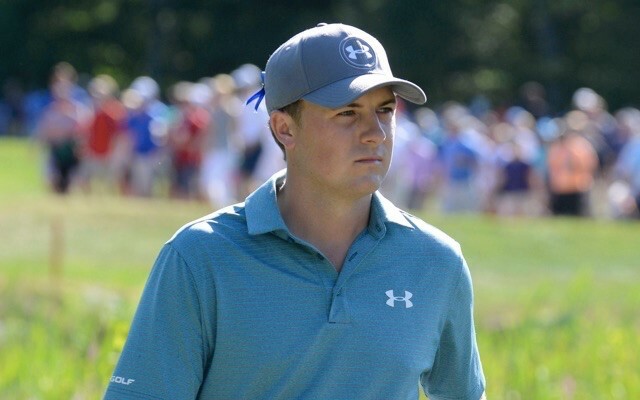 Spieth is not regressing to the mean, as some golf pundits would have you believe. He is just coming off a rough two-week stretch in a sport that, in its nature, is not supposed to be dominated on a weekly basis by one player — let alone a 22-year-old. That is why Tiger’s Dimaggio-esque streak of 142 consecutive made cuts from 1998-2005 is still mind-boggling. Spieth likely will never catch Tiger’s record, but he does possess the same type of drive and ambition that propelled Woods to the pinnacle of the sport for two decades. He wants to be the best player in the world and is certainly motivated to get back to form heading into the BMW Championship this week. Spieth has been practicing his putting all week and his confidence is starting to return. “I’ll bring it when we get to Chicago,” he said.